Our portable tablet stand for wireless target cameras allows shooters to rest their smart devices on the surface of their shooting bench to provide for an easier viewing experience. 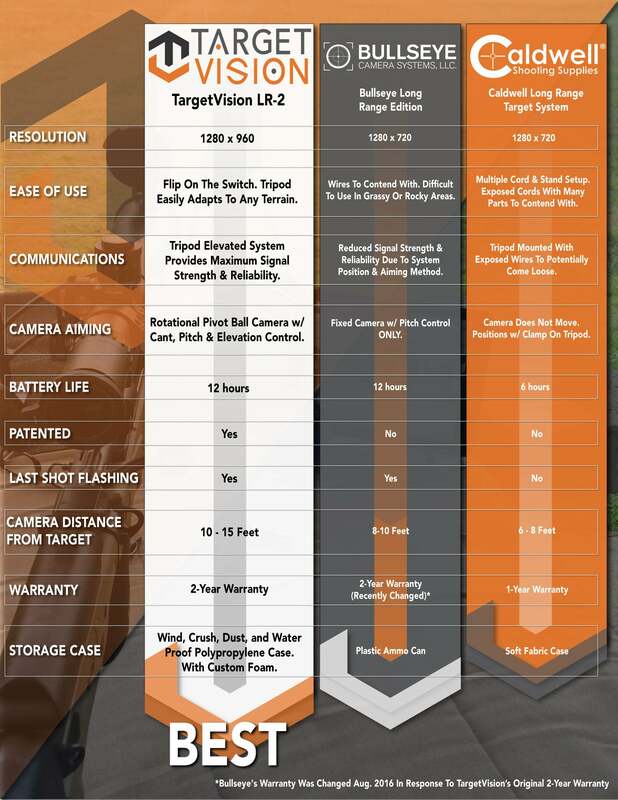 Have confidence that you’re hitting your mark when you use shooting target cameras by TARGETVISION. Our shooting cameras and accessories give you the assurance you need that you’re staying on target—they’re perfect for recreational shooters, competitive shooters, and professional marksmen alike. Use the technology at your fingertips by mounting your iPad or Android tablet to our heavy-duty tablet stand. RANDY C. Reviewed by RANDY C.
Well built, not a flimsy piece of plastic, opens smoothly and was well thought out. Holds my I pad in place even on irregular surfaces. Stephen K. Reviewed by Stephen K.
Randy D. Reviewed by Randy D.
Curtis C. Reviewed by Curtis C.